The dog has decided to settle back down into a comfy new spot on Cuba Street. After a short absence, we welcome back a beloved member of the Wellington craft brewing family. Since leaving Blair Street a few months ago, Black Dog Brewery did the rounds on a few guest taps and takeovers. Fortunately now, the dog has decided to settle back down into a comfy new spot on Cuba Street. The new kennel sets out to be an ideal hotspot, adding to the vibrant atmosphere on its doorstep. Black Dog Brewery Manager Adrian Klemp says, "The new brewery will be a space that really compliments the area's creative soul. 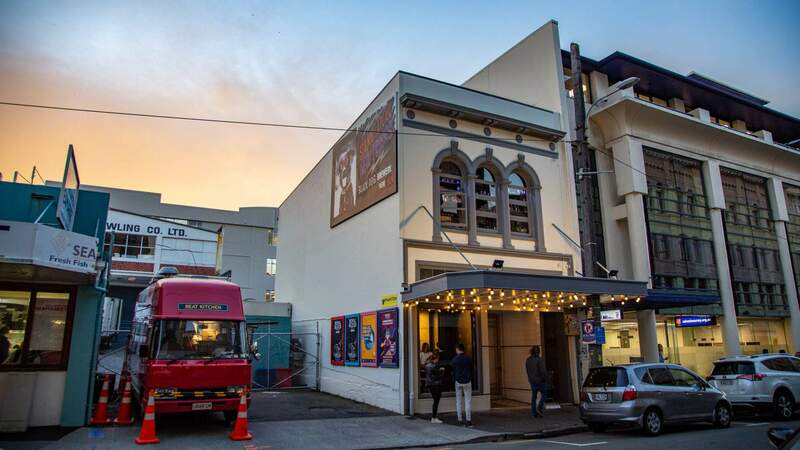 We've got a busy year ahead of us, so it's exciting to be part of the contagious Cuba Street energy." Black Dog has really taken care in capturing this energy and freshening up the new location. The Old Edwardian two-storey building has had a revamp with a new lick of paint, yet still maintains its historic charm. This isn't just any paint job though, Black Dog teamed up with three local artists who have brightened up the interior with a stunning mural. It seems Black Dog is hounding for a collaborative spirit. Not only are they supporting the local artists, but the businesses around them. The locals are returning the favour too, supplying a wide-range menu for the patrons. Grill Meats Beer, Heaven Pizza and Wellington Sea Market are all pitching in with plenty of plates to share. So no doubt this dog will have a good bite, however, the brews are the priority here. The brewery is on the ground level, supplying not only the city, but the onsite bar above. Set to have sixteen taps, the new bar is showcasing their staple brews and a few experimental types. Amongst the favourites will return Pug Life and Dog Father. Their long-time friends, Fortune Favours are also lending a paw with a production of a Belgian-style IPA. The brew will be ready just in time for the opening day on Friday 23 March. With neighbourly spirit and quality beer, they're set to become one of the top dogs of Cuba Street.